About a decade ago, I lived in Nome and worked as a reporter at a local radio station. One of the highlights of the job for a young reporter was the access it afforded me to political figures in the state. Of the many interviews I conducted, I have often remembered my encounters with Alaska's then-junior senator, Lisa Murkowski. Shortly after arriving in Nome, I covered the opening of a new state facility. Sen. Murkowski attended and when the local Native drumming and dancing group invited people to join them, she gamely stepped forward and joined the dancing. I flew to some of the remote villages in the region to cover her constituent visits. I remember being impressed by the sensitivity with which she interacted with residents, listening to their concerns about sanitation, coastal erosion and subsistence rights. The overriding impression I had of Lisa Murkowski was that she was a reasonable person. To be sure, she said and did things with which I disagreed. But it was always possible to see a clear logic to her actions. Reasonableness struck me as an important quality in a politician. It is what allowed her to interact so meaningfully with her constituents and for them to grow in respect for her. My line of work has now changed and taken me outside the country, but I am still an Alaska voter and was pleased to cast my vote for Lisa Murkowski last year. Reasonableness may have been an admirable quality in a politician a decade ago, but we no longer live in a reasonable time. Donald Trump defies reason and rationality at every turn. He makes claims and counter-claims that have little basis in fact and are readily disproven. He seems little interested in the act of governance. His Cabinet nominees echo this unreasonableness, like the labor secretary who doesn't appear to believe in workers' rights or energy secretary who once forgot he wanted to abolish the department he is now poised to lead. But perhaps the most unreasonable nominee of all is Scott Pruitt, the man Trump has nominated to lead the Environmental Protection Agency. As attorney general of Oklahoma, Pruitt has been vigorous in his opposition to President Obama's steps to combat climate change. He has consistently and adamantly opposed even the most minimal of environmental protections, repeatedly suing the agency he has now been nominated to lead. There's a reason for this: Pruitt denies the reality that climate change poses a threat to the United States. Lisa Murkowski must know how unreasonable Pruitt's views are. I watched her listen to rural Alaskans tell her about the impact of global warming on their communities. Seasonal migration patterns of animals are changing and melting permafrost is wreaking havoc on infrastructure. Each year is hotter than the previous one, a trend embodied this winter by the frankly terrifying "Arctic heat wave" in which temperatures are soaring far above normal. It is possible to disagree with the actions of the EPA and how the Obama administration has sought to combat climate change. Indeed, Murkowski has at times voiced such disagreement. But it is not possible in 2017 to deny the reality of a changing climate and the role of human agents in this process. To put a man like Scott Pruitt in charge of the Environmental Protection Agency would constitute a major blow to Alaska communities looking to their elected representatives for help as they work to adapt to the new reality we face. Scott Pruitt's nomination will likely come before the full Senate in the next few weeks. Murkowski should vote against his confirmation and insist that Donald Trump appoint an EPA director who takes the threat of climate change seriously. It is the only reasonable move. In a political environment dominated by an unreasonable man, being reasonable demands a kind of bravery. 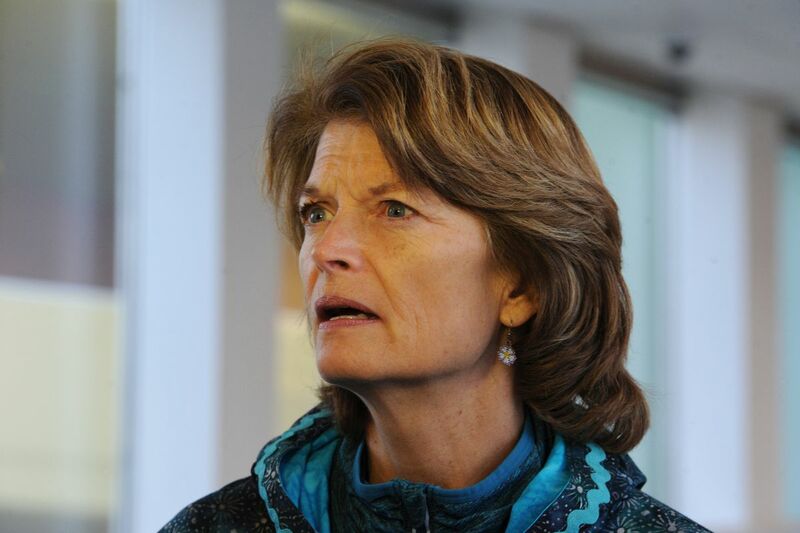 It requires more than the even-keeled steadiness I once saw in Murkowski. It requires asserting that certain facts are true — climate change is real — and that responsible public policy is formed on the basis of truths like these. It requires standing up to a president-elect who seems to have no shame about bullying and shaming both his "enemies" and his apparent allies. Sen. Murkowski is not short of reasonableness. In an unreasonable age, she must now find her courage. Jesse Zink is director of the Cambridge Centre for Christianity Worldwide, located in Cambridge, England, and author, most recently, of "A Faith for the Future."